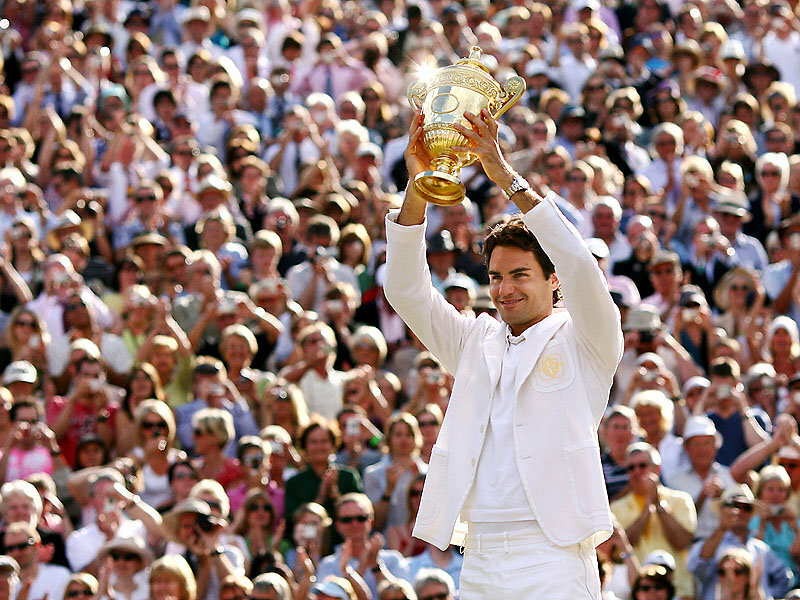 We’ve got Wimbledon coming up in just over a week, so it’s a good time to read through the history book and stat charts and see who are the most successful players at the All-England club since the beginning of the Open era. Retired since 2002 and 11 years since his last Wimbledon triumph, Pete Sampras is still number one on the grass courts of the All-England’s club. Sampras played his first Wimbledon tourney in 1989, before his 18th birthday. He won his first in 1993, the first of three straight. He was stunned by Richard Krajicek in the 1996 quarter finals, but rebounded next year, beginning a four in a row streak. He beat six different opponents in seven finals – Jim Courier, Goran Ivanisevic (2), Boris Becker, Cedric Pioline, Andre Agassi and Patrick Rafter. The man who eclipsed Pete Sampras in total Grand Slam titles two years ago at Wimbledon needs one more title on the grass surface to match up with the American. Federer will be playing at Wimbledon for the 13th time, making his debut there in 1999. He has a 55-6 record there, 90.3%. He won his first Grand Slam title in 2003, beating Mark Philippoussis, beginning a streak of five consecutive trophy snatching at Wimbledon. He lost to Rafaen Nadal there in 2008, pretty much the match that signaled the turn of the tides in tennis. A year later, with Nadal not playing in the tournament, Federer won his 15th grand slam title, cementing his ‘greatest ever’ title. He has beaten Nadal twice in the final there and Andy Roddick three times. Andy Murray lost to him once. 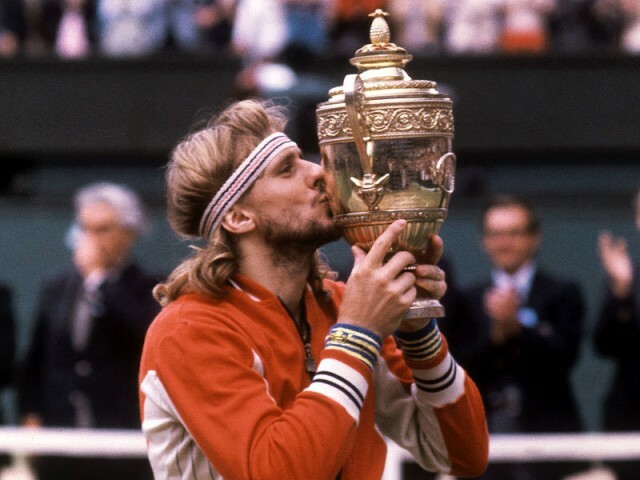 Eleven Grand Slam titles and the best record ever in Grand Slam tournaments (141-16), Bjorn Borg never won in Australia or the US Open but has still earned his place among the greatest of all time, top 5 in my book. He played in nine Wimbledon tournaments, winning five (1976-1980) and making the 1981 final, his last year on the tour. He mostly faced Americans on the Wimbledon grass, beating Jimmy Connors twice, John McEnroe in that epic 1980 final and Roscoe Tanner. His first title at Wimbledon came after beating Romanian Ilie Nastase. 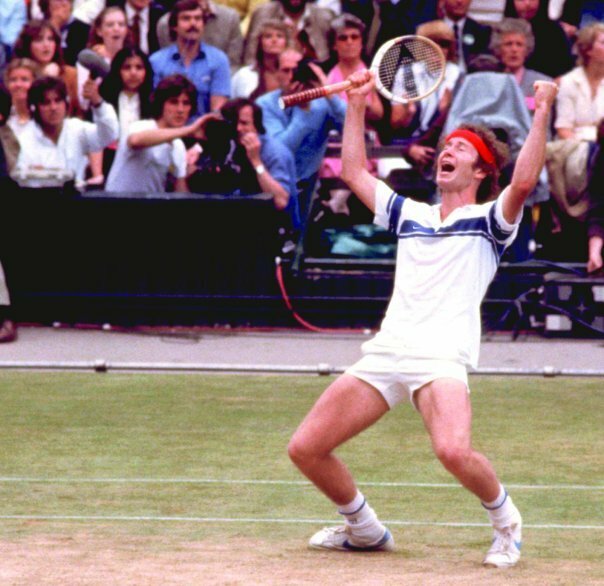 Still remembered as the bad boy of tennis during the early 80’s, McEnroe made five consecutive Wimbledon finals between 1980 and 1984, winning three of them (81, 83, 84). He beat Bjorn Borg (1981), Chris Lewis and Jimmy Connors in those finals. McEnroe was 32 when he played his last Wimbledon in 1992, making it to the Semi Final, losing to Andre Agassi who would go on to win the title. 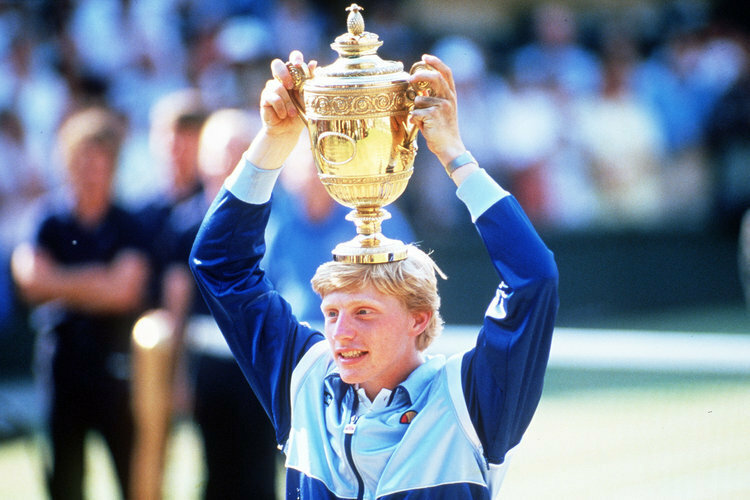 The six time Grand Slam champion is one of Wimbledon’s favorite players, from the moment he burst on to the scene in 1985, winning the title before the age of 18, at the time being the youngest ever male Grand Slam winner. He won two more times there – 1986, beating Ivan Lendl and in 1989, beating his greatest rival, Stefan Edberg. He lost to Edberg in the 1988 final and also in 1990. He lost two more finals – 1991 to fellow countryman Michael Stich and in 1995 to Pete Sampras. Rod Laver, Australia – Two wins during the Open Era and two before it. Laver won in 1968 and 1969. John Newcombe, Australia – Two Open Era victories – 1970 and 1971. Jimmy Connors, USA – Connors won twice at Wimbledon – 1974 and 1982. He also lost four finals there, all to legends – Arthur Ashe, Bjorn Borg and John McEnroe. Stefan Edberg, Sweden – Edberg won both of his Wimbledon titles against Boris Becker in 1988 and 1990. Rafael Nadal, Spain – With Federer, the only active player on this list – Nadal has won in 2008 and 2010 and is the favorite to win it this year after his triumph at the Roland Garros.